When many of us think about our home’s roof, we think about the asphalt shingles, metal sheets, cedar shakes or other materials that make up the outermost layer of the roof. This is your home’s first line of defence from the elements and is a vital part of the roof. However, the hidden support system that keeps the roof up all winter long is also important. Many home owners understand far less about these unseen roof supports than they do about their shingles. The two most common types of roof framing systems used in residential roofs are rafters and trusses. In a rafter-framed roof, individual 2 X 6 boards are used as rafters spanning from the eaves up to the ridge line of the roof. The boards generally need to be braced part-way up. Much of the weight from the roof ends up being transferred to the braces, so it is vital that the braces rest on the top of a load-bearing wall. A truss-framed roof is made up of carefully engineered and pre-fabricated trusses that are delivered to a residential construction site already assembled. Trusses generally transfer the weight from the roof to the exterior walls of the house. Improper installation of bracing system for rafters. If the rafters are braced on a non load-bearing interior wall, the weight from the roof can cause floors to sag. 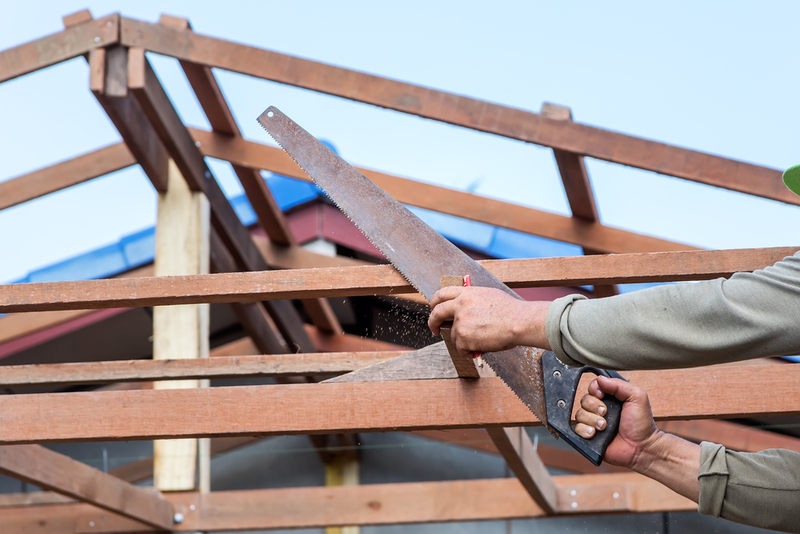 Improper removal of braces or collar-ties from a rafter-framed roof. Occasionally a home owner does not understand the importance of the braces or collar-ties and will remove them to create storage in an attic or more head-room in an upstairs bedroom. Cracking and popping sounds coming from the attic. As a homeowner, inspecting your home’s roof support system to ensure that it is in good condition can be just as important as inspecting the exterior of the roof.